I am likely to separate this post into its own page, depending on how much time I devote to extending my project into a teaching opportunity. Until that (maybe) happens, here are some bullet points which might be of interest. Please post questions or comments if you are so inclined. 1) The page takes a minute to load initially. There is a ton of data associated with drawing the county polygons. As long as the JS files are cached locally, subsequent page load times will be short. 2) You can view the JS code to see what I did and to get ideas. 3) I haven’t gone back & cleaned up the code or done a whole lot of re-architecting of the project. The first versions of the code and design were quite ugly, and I cleaned up the code only to the extent that cleaning up the code helped improve the functionality of the page. 4) Some of the counties may have polygon coordinates that are off in left field, and this causes problems. I’m aware of only 1 county with this problem, so I’m not in a big rush to worry with it right now. If this were to become a production application I would manually check every county. Until then, I’ll live with an occasional page crash. 5) One of my goals was to create a page with some separation between UI & code while avoiding the constant back and forth between client and server to load UI stuff. I’m of the opinion that to the extent possible, UI elements should load & reload from the server only when the UI itself changes. When a data field changes, the UI code for that field shouldn’t reload. Here in Polymagnumville, we’ve appointed a poet laureate. No note pad is safe when she has something to say, especially when she has a really good day. 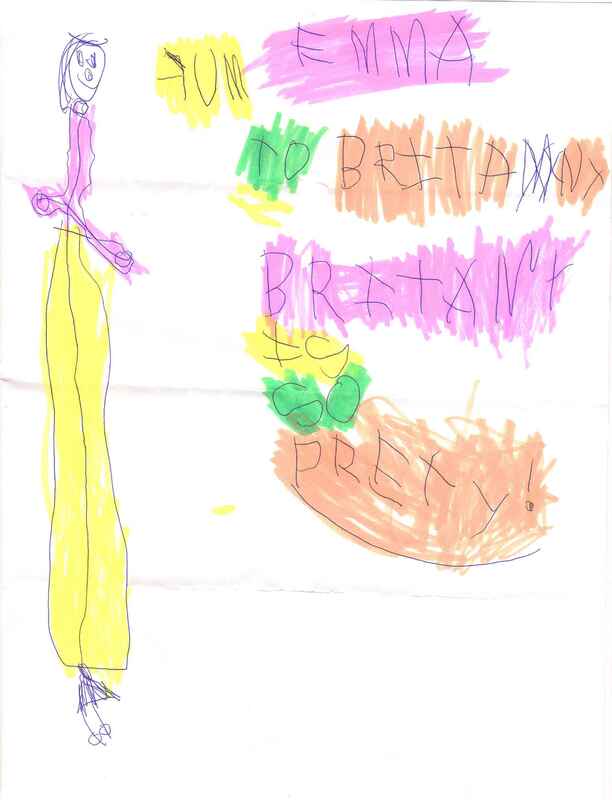 Emma just turned 5 years old, and she wrote a note to her now 8 year old sister, Britany. We found this creative work in a stack of papers destined for the scratch paper drawer. Apparently, “fum” (with the backward “F”) really means “from”. While cities across the country are cutting services, raising taxes and contemplating bankruptcy, something extraordinary is happening in a suburban community just north of Atlanta, Georgia. Since incorporating in 2005, Sandy Springs has improved its services, invested tens of millions of dollars in infrastructure and kept taxes flat. And get this: Sandy Springs has no long-term liabilities. Arrived in Auburn at 830 local time to meet with Hr to sign some papers. I played basketball last night for the first time in several years. Taylor sprained his ankle, which was almost enough for me to go home right then. Later in the evening my back started to hurt a little but I didn’t think too much of it. After I got home and sat down for a few minutes it tightened up and is quite sore today.